The Archive Anthology Bamboo 100/5026 is the darkest of the five colourways by Cole and Son dark pewter coloured background instead of the light cream coloured background. This dark and sophisticated pewter colour works incredibly well with the two-toned blue bamboo motif. 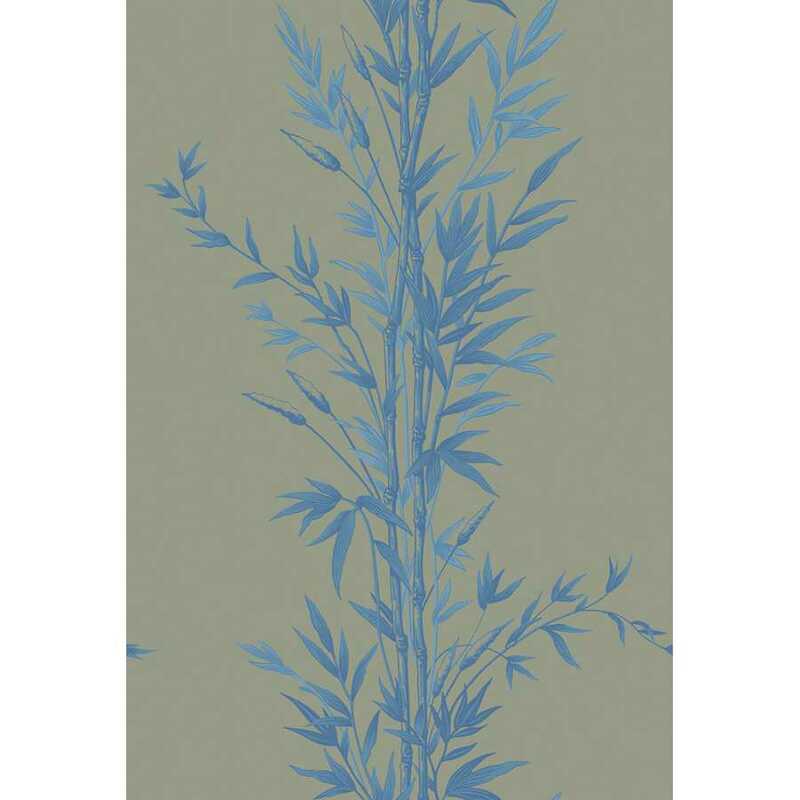 The use of a darker background draws your eye to the fresh duo-toned blue bamboo drawing as both tones feature lighter flecks and lines on the motif’s leaves for a realistic, three-dimensional aesthetic. 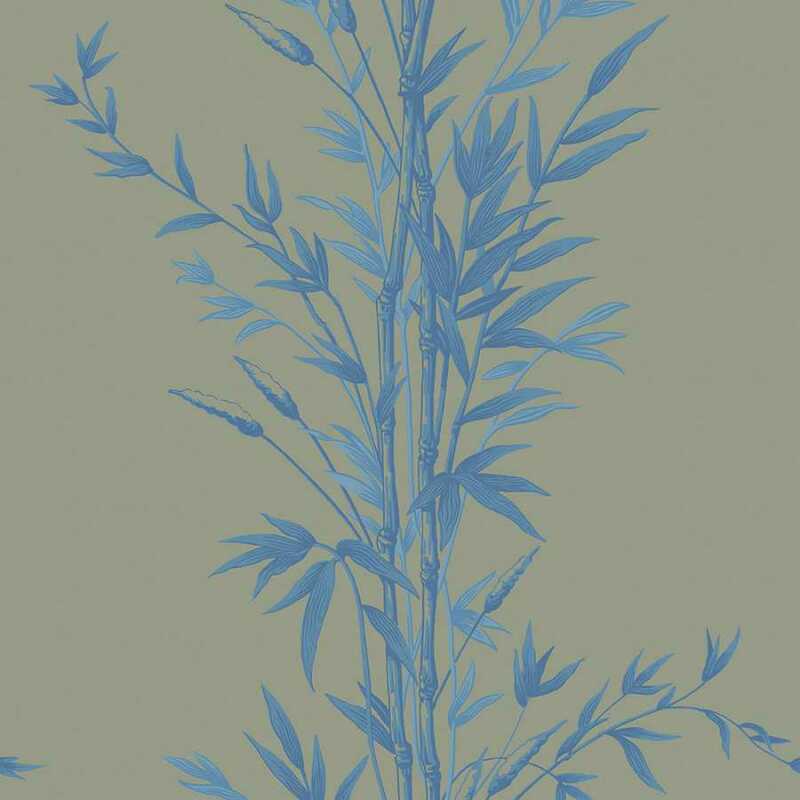 Originally a screen-printed design, the Cole and Son Archive Anthology Bamboo wallpaper records the rise in popularity of the Orientalist style throughout the Victorian era. 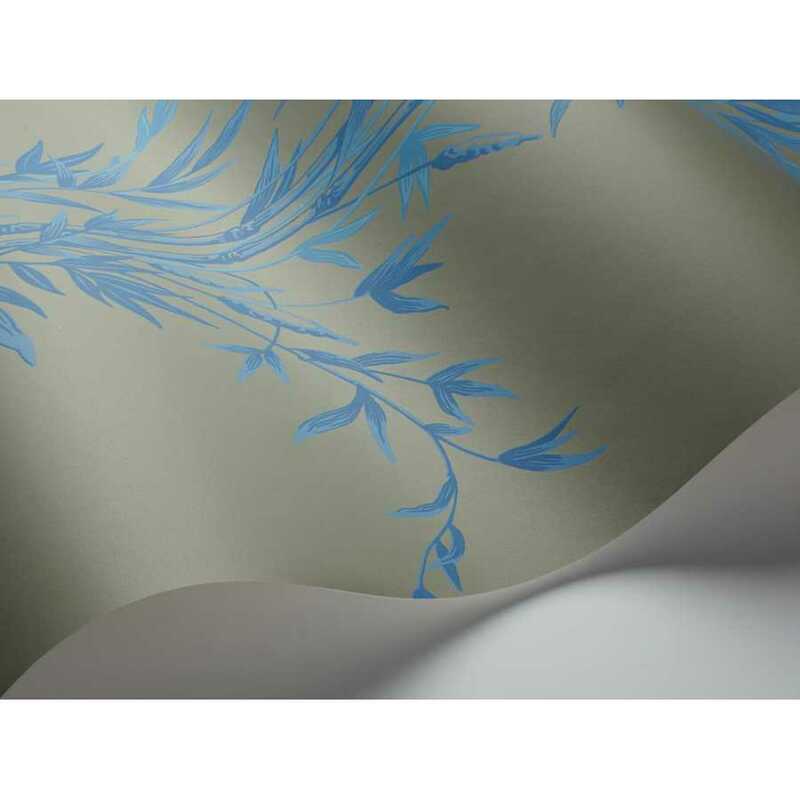 Cole and Son have reworked this classic bamboo design in five new colourings of china blue, powder blue, charcoal, soft pink and leafy green, this graceful wallpaper will add instant elegance to any interior making it a perfect luxury wallpaper design for your living room, bedroom, hallway or commercial space. The Cole and Son Archive Anthology is a collection of on-trend wallpapers brings together a selection of Cole & Son’s most popular and well-known classic wallpapers, whilst also introducing several designs from their extensive archives.